It’s a day to celebrate dreams and dreamers. Dr. Martin Luther King had a great dream. He dreamed to eliminate racism and to make justice a reality for all of God’s children, regardless of their color. Dr. King’s infamous I have a Dream speech ignited a movement. Yet a half a century later, we still live in a world of inequality, injustice, and racial tension. I often wonder what Dr. King might think of the world we live in today. Are we more about character than color? Have we progressed? Are we living the dream he imagined? John Lennon had big dreams too. 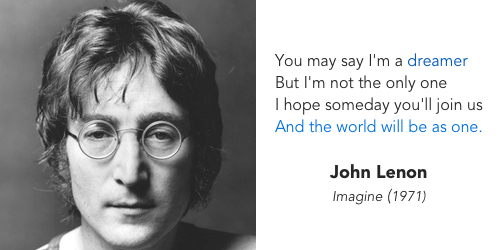 In the song, Imagine, John spoke of a world of peace without borders or barriers. He called for a world without possessions and for more dreamers. The song went on to win the Grammy Hall of Fame Award and it was inducted into the Rock and Roll Hall of Fame’s 500 Songs that Shaped Rock and Roll. But more importantly John challenged our need to just “be”. 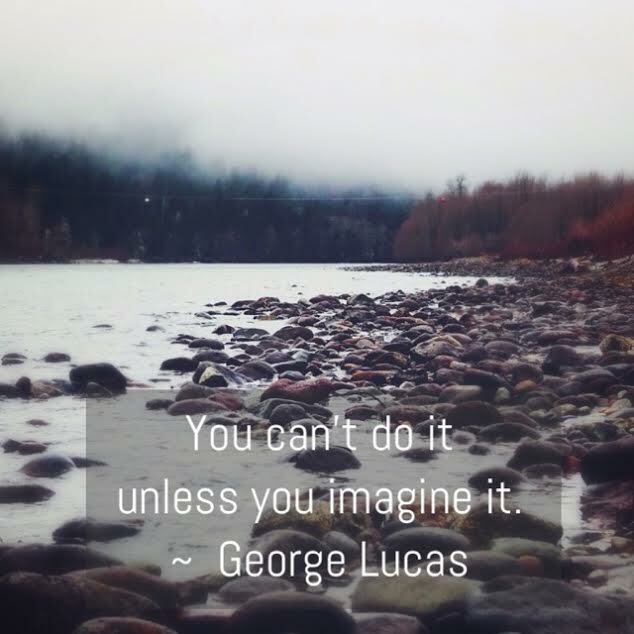 He taught us to “imagine”. Last weekend I received this amazing photograph that got my imagination going. I have this photo on my desk. It reminds me to dream...and to imagine. Notice the fog and the rocks. To get clear, you must visualize your dream. The more you imagine, the more clear the picture becomes. And sometimes the fog will set in and rocks can messy the path, but we have to keep moving through the water (and muck) to make our dreams happen. Sometimes our dreams are there to train us to dream bigger. When I was 5 I wanted to become the first female president of the United States. (Sweet, huh?) I no longer have this desire, but dreaming this big at 5 is teaching me to dream like this at 40. A few years ago, after running my one and only marathon in London in 2009, I opted to go for 5 more races in Chicago, New York, and Berlin, with Tokyo and Boston left to run. I’m 16 months away from achieving this dream. Dreaming gives us a chance to create, unite and connect. What are your dreams? Who are your favorite dreamers? How have they shaped and influenced your thinking? Are you dreaming big enough? How are you connecting your world and what movement are you a part of or just beginning? Happy Martin Luther King Day and may his dream serve as a reminder that we must imagine and create the future we want and so deserve. Great post Katie! It is really a thought provoking post, and I now wonder am I dreaming big enough, or even at all! Thanks for prompting me to do some soul searching.